The Chamber’s leadership is rooted with outstanding citizens and business leaders at the forefront of the organization. Our Executive Committee and Board of Directors consists of very dedicated local business owners, representatives from various sized businesses and other civic-­minded members of the community. 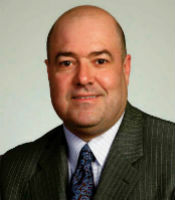 Ken Bruno is President and CEO of KAB Computer Services, a full-service technology corporation which services the East coast since 2002. He is considered a nationally recognized leader in technology, specifically in the areas of computer science, electronic eavesdropping & detection, audio/video, and surveillance systems. 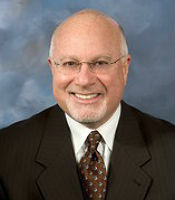 Ken is also a notable speaker on identity theft prevention and frequently speaks on the subject. While working full time at KAB, Ken was also a CEO and managing director of a record label, and President of a local market. 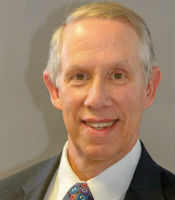 Ken is also currently serving on the Board of Fort Lee’s Business District Alliance. Joe Burt has more than 25 years experience in fundraising for nonprofit organizations in healthcare and higher education. 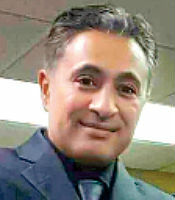 For the past five years he has served as Vice President Development/Executive Director for the Palisades Medical Center Foundation now the Hackensack Meridian Palisades MC Foundation. Joe coaches both youth baseball and basketball. He and his wife Margaret have 3 children and live in Jersey City. 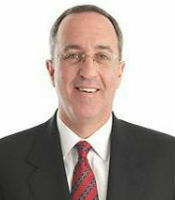 Bob Sherwood is a financial services professional with Integrated Financial Concepts located in Fairfield, NJ. He operates a financial planning business geared towards successful business owners just like you. During his business career which includes over 24 years at IBM and 15 years in the finance world, Bob has gained a wealth of experience and knowledge which he readily shares with his clients. A ten-minute phone conversation can be the first step towards a meaningful and enduring client relationship with Bob. He is also an avid golfer and tennis player and enjoys spending time with his family and friends. 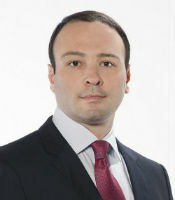 Jose Bombino, CPA is a partner in the Certified Public Accounting firm of KWC Partners, LLP in Englewood Cliffs, NJ. 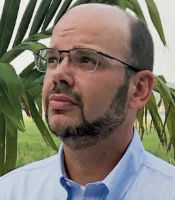 With over twenty-five years’ experience in the field of public accounting, Jose serves a diverse pool of closely held businesses, law firms, co-op and condominium associations, retail, wholesale- distribution and non-profits in taxation. He also handles business valuations in estate-gift and matrimonial matters, as well as inheritance tax issues. Beyond his role with the firm, Jose is an active board member in four organizations and in his free time enjoys biking or hiking on trails. 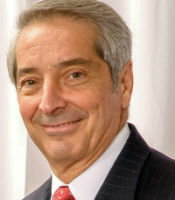 Saverio "Sam" V. Cereste, ESQ. 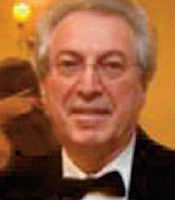 Sam has been a member of the Board and an attorney serving the Board since 1973. Sam maintains an office at 1624 Center Avenue, Fort Lee, New Jersey where his practice focuses on Commercial and Residential Real Estate, Municipal Land Use Law, Wills and Estates. Sam is married to his wife, Mary. They have four children, Sam, Jr., Adriana, Justin and Alex, and two grandsons, Nicholas and Alyosha. When not practicing law, Sam is an avid sports fan. Doug Feltman is the owner of Home Helpers, a top rated home care agency in Bergen County and New York City. In addition to serving on FLRCC’s Executive Committee, Doug is chairman of the audit committee of the New York Road Runners, and a long time board member of the Sherman Chamber Ensemble. He is a former navy seal, a CPA, certified senior advisor, Certified Alzheimers caregiver, financial consultant and an entrepreneur who has owned cable TV systems in Georgia and Florida, and Portuguese food importing business. On Sundays, he is a professional soccer referee and enjoys long distance bicycling. Martin Asatrian is founding and managing partner of the Asatrian Law Group, LLC with an office headquartered in Fort Lee, New Jersey. He has obtained substantial verdicts throughout his career. He obtained his law degree from New York Law School and has obtained a certificate of International Law from Oxford University, United Kingdom. He recently published a book: Only in America: Case for Immigration and International Human Rights. Karol Cho has been in business banking for the last 16 years working with businesses on treasury management, business loans, lines of credit and commercial mortgages. Her mission is building relationships and providing excellent customer service. When out of the office, Karol enjoys playing golf. Tatyana Dyagileva artfully blended the passion for interior design with a love for real estate powered by extensive business experience to deliver one of a kind, integrative approach to market real estate. When she’s not designing, staging or selling, she is out and about with her camera to capture the next great shot. Tatyana adores photography; it definitely is her favorite hobby. 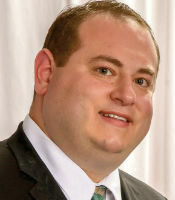 Michael Errichiello is a chiropractor and therefore the primary choice for the treatment of mechanical spinal pain. He treats patients with neck pain, low back pain and herniated discs that are caused by spinal bones being out of place. This can occur from normal daily activity as well as athletic activity. When not helping patients with spinal pain, Mike likes to play tennis, ski and bike ride. Fred Goetz is a practicing attorney for more than 16 years in New Jersey and is the managing attorney of Frederic C. Goetz, Esq. LLC, a General Practice Law Firm in Hackensack. He represents clients in the areas of General Litigation; Matrimonial/Family Law; Real Estate Law; Municipal Court; Collection; Debt Settlement; Estate Planning, Probate & Administration, Land use; Formation of and operation of corporate entities, Sale/Purchases of Businesses, and Commercial Transactions. Fred has also served as a Councilman, Council President and Council Vice-President and currently serves as the Chairman of the Zoning Board for the Township of Washington, Bergen County. He teaches law-related classes at Berkeley College as an adjunct professor. In 2017 Fred was recognized by “201” and Bergen Magazines as one of “Bergen’s Top Lawyers” for 2017 for both Real Estate Law and Matrimonial/Family Law. Lance Maiden is a licensed sales associate with Coldwell Banker at the Hudson Lights Office in Fort Lee. His nine years of experience in luxury and residential sales plus an extensive background in marketing and business management allow Lance to serve a diverse clientele of buyers, sellers and renters throughout Bergen, Hudson, Passaic and Essex counties. As a 2015 Platinum member of Coldwell’s Cartus Relocation Team as well as a proud United States Air Force Veteran, Lance is a valuable resource for fellow Veterans and residents new to the New Jersey area. Proud father of three, he maintains active roles with a variety of charitable causes and community organizations including the Bergen County American Legion and Team Red. Lance enjoys traveling/sightseeing, cooking, photography and spending time with his family. 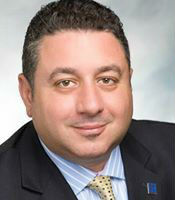 Mitch Nassiri is Sales Manager at the Crowne Plaza Hotel in Englewood. He determines annual unit and gross- profit plans by implementing marketing strategies; analyzing trends and results. He also establishes sales objectives by forecasting and developing annual sales quotas for regions and territories; projecting expected sales volume and profit for existing and new clients. When not working at the hotel, Mitch likes walking, exercising, socializing with friends and meeting new people. 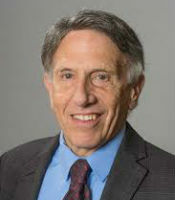 David Rand is the Managing Partner of HarrisonRand Advertising, an award-winning, third generation family-owned advertising firm in business for over 75 years. In this role, David oversees all aspects of the business, including all media placements for their clients. He enjoys skiing in his free time. 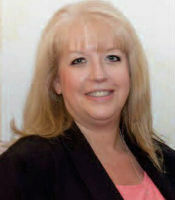 Randi Raskin is the founder of Fort Lee Dog Walking & Pet Sitting Services. She lives in Fort Lee with her husband and two teenage children for the past 19 years and has been active in the Fort Lee School system, as well as within the community. Two of our town events that Randi works on each year include PAWS IN THE PARK, Fort Lee's Annual Dog Halloween gathering and the FLRCC 3-on-3 Basketball Tournament at the Fort Lee High School. 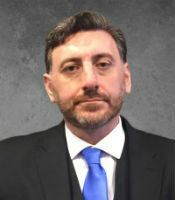 Anthony Sorrentino is Senior Vice President, Board of Director and Commercial Insurance Branch Manager at the Englewood Cliffs branch of Otterstedt Insurance. He sells and services the business and personal insurance needs of his clients. He is also the risk manager for local municipalities and school boards. When not working (which is very little), Anthony enjoys travel and golf. 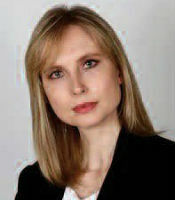 Mirela Tarabokija has been dedicated to supporting individuals & families for over two decades. She works with those that want to make sure they & their families are taken care of whether they "live too long" OR "die too soon". This dedication carries over into "leisure time" spent volunteering in her local community & church on various committees, boards & councils. Mirela is beginning her second year serving as Director of Religious Education at her church where she has volunteered for over 15 years. Jeff Ware loves baseball. He better. 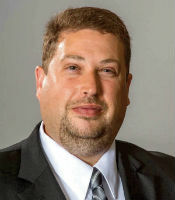 As the volunteer District Administrator for District 6 Little League he oversees the activities of ten local baseball & softball leagues in 14 southern Bergen County towns, coordinating hundreds of volunteers coaches and league administrators as their link to Little League International, the largest youth sports organization in the world. 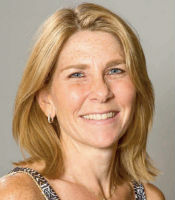 Lori Young is SVP Retail Banking and Human Resources for Bank of New Jersey. 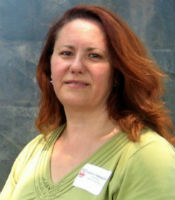 She oversees the operations of the branch network as well as business development. She is responsible for the oversight of Human Resources across the bank. 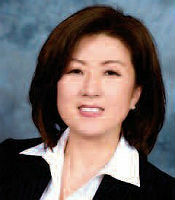 She truly enjoys being a community banker and has worked in this industry almost thirty years. Outside of work, she enjoys spending time with her family, going to the beach and reading a good book. Bob Durando began his Port Authority career over nearly 40 years ago as a Toll Collector at the Staten Island Bridges. Over the course of his career, Bob has continuously held positions of increasing responsibility in both operational and staff functions. He has held the positions of Operations Manager at the Holland Tunnel, Operations Manager at the George Washington Bridge, and General Manager of the Holland Tunnel. 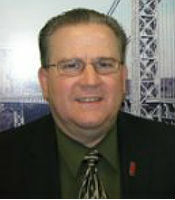 Bob was promoted to General Manager of the George Washington Bridge and Bus Station in August 2002. In this position, he is responsible for every aspect of the facility's day-to-day operation. Margaret Maclay is a Business Performance Coach and Director of Franchise Onboarding, Certification and Support, with FocalPoint International. As a Business Coach she works with business owners, decision-makers and executives to improve their business results and achieve increased levels of success. 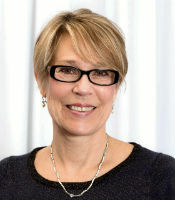 As Director for the franchise, Margaret and her team educate and support all members of the organization. She loves to cook, enjoys the theater and her two doggies! Jaime Weiss is a real estate professional for four decades and has built a record of proven expertise and accomplishment. The founder of Weiss Realty, he is responsible for leasing, acquisition, disposition, and property management decisions as well as the strategic direction and operation of the company. 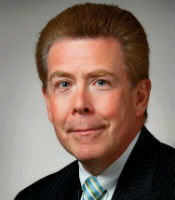 His distinguished career includes tenure with Cross & Brown Company, Edward S. Gordon Company (now CB Richard Ellis), Cushman & Wakefield, and Newmark of New Jersey.